We now have an idea of the product that we will sell for our Million Dollar Case Study: hooded baby towels or magnetic tiles for kids. But these are just ideas… the execution begins now! Specifically, where can we find a trustworthy partner to manufacture an excellent product that allows us to differentiate from the existing competition? This is exactly why it is so important to find an excellent supplier. The beauty of the Amazon business model is the freedom and flexibility that it provides: generate sales around the clock, don’t bother with fulfillment or inventory, customer service, and make some handsome profit margins. This allows a one-person show to generate a boatload of sales—Greg’s success as an Amazon seller is a testament to that. However, if there is one “business partner” that is required to meet this success, it is finding a company to actually manufacture your product idea. It is at this stage where you’d pop open Alibaba, browse through some listings that might work, and cross your fingers… hard. Let’s relax for a second before you give yourself carpal tunnel syndrome and approach this strategically. Enter Gary Huang, Founder of 80/20 Sourcing, an American expat in China, and an expert on product sourcing, with nearly a decade of experience behind him. How do we find good suppliers? Sourcing is a major frustration point for many amazon sellers. Is the supplier trustworthy? Will the quality meet my standards? Will I get ripped off? These are all ever-present and legitimate concerns. But where do you begin your search? Ultimately, it helps to know exactly what it is you want. Start by identifying the specifics of your product (materials, measurements, design, etc), in very specific detail. Gary likens finding a supplier to finding a spouse: the ideal is to find someone that you can trust, that you like, and that is willing to be your partner together for long term success. If you can create a mutually beneficial relationship with your supplier, you are setting yourself up for future success. When you initiate contact with potential suppliers, you are going to send a Request For Quotation (RFQ). The goal of sending out RFQ’s is to gather basic information about a supplier (can they make your product? Are they a good fit? What is the tentative pricing?). You can send the RFQ’s via Alibaba’s communication platform, and can do so very quickly using a pre-written template. One way that Gary recommends to differentiate your RFQ from the deluge of other requests is to simply introduce yourself. Your background, your goals, your business, how you will be a success, and more. Moreover, a surefire tactic to stand out from other inquiries is to demonstrate a level of professionalism and product knowledge that imbues trust from the supplier. Can they manufacture this product? Past experience with this product? Gary included a short introduction about Greg. This personalizes the note, yet establishes credibility and potential for significant business in the future. The product details that are included shows that he knows the product, he’s not necessarily new to the market of baby towels, and therefore increases the likelihood of receiving specific helpful answers in response. There is a clear call to action with the questions at the end: this will save time and get more helpful answers to sift through the responses and evaluate who would be a good fit. Gary includes photos in his email, as it is an effective way of communicating specific needs. Furthermore, it overcomes potential language barriers, as English is not a native language for many of these suppliers. Gary shared a bunch of helpful pointers to keep in mind when making initial contact with suppliers. 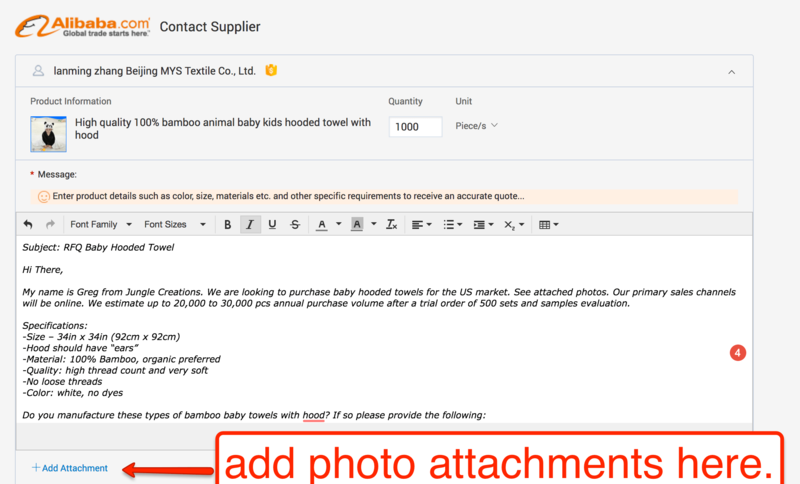 Contact 10-20 suppliers, use the same template, and collect and record the responses. Many of the suppliers that you reach out to won’t be a great fit, but that is all part of the process to uncover those few that are the ideal fit. Cast a wide net to start, don’t worry about the details (like specific pricing negotiations) until later in the process when you have narrowed down your list to those that that have potential. Don’t negotiate too hard on price from the very beginning. It is more important to build trust and confidence with the supplier, and once that is established then you can settle on a mutually beneficial price point. 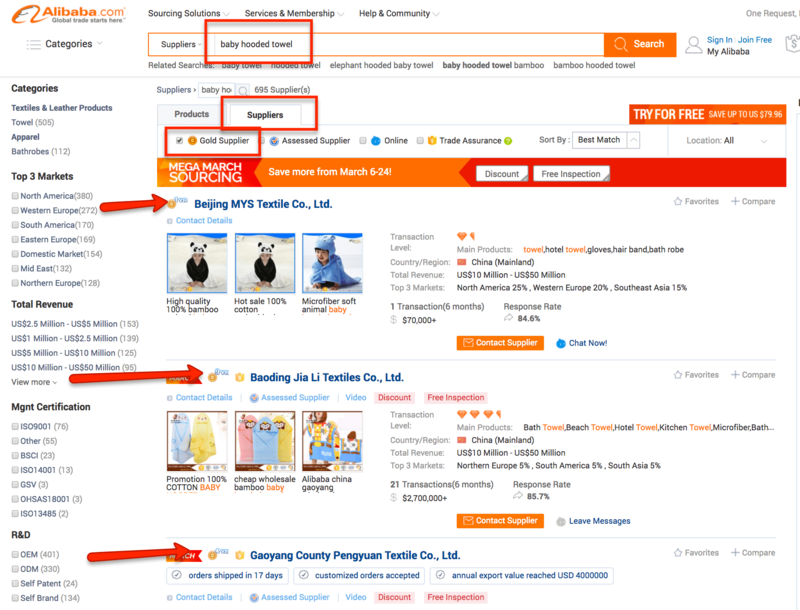 Finding Suppliers: Let’s Explore Alibaba! Gary recommends using Alibaba and Global Sources to find suppliers online. Global Trade Shows are an excellent way to accelerate the process of finding suppliers. One caveat to remember is that Alibaba is an unfiltered listing of suppliers, trade companies, and middlemen. Just because a company is listed on Alibaba doesn’t mean that they are good. There is no real filter for quality or accuracy of information listed about a supplier, so essentially it is just a starting point…you still need to put in a fair amount of research to verify that a supplier will meet your needs and qualifications. How long has this supplier been listed on Alibaba? Gary feels more comfortable reaching out to companies that have been around for longer. The number of years is an indication of an established track record, and increases the likelihood of a legitimate supplier. Gary’s “Common Thread Test” asks a simple question: are the products centered around a common thread? You want to find a supplier that manufactures the product that you are looking for, and a narrow range of related products. For our search for baby hooded towels, that would mean that towels, textiles, robes, etc would be a relevant fit. If you also see iPhone cases, dog leashes, and water bottles, there is a good chance that this is a trading company that acts as a middleman between you and the supplier. 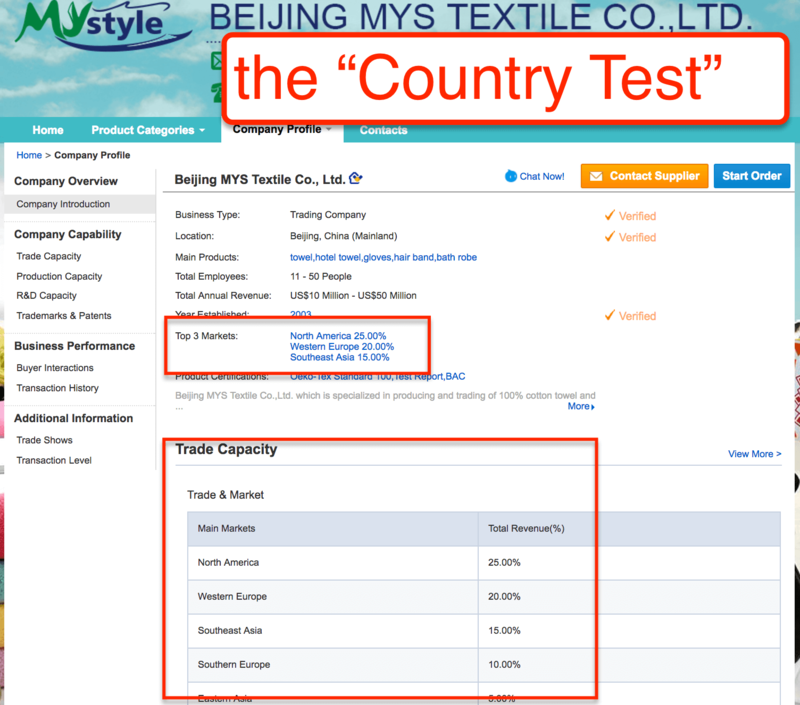 Gary’s “Country Test” asks which countries the supplier exports its products to. The assumption here is that there is a higher quality standard in Europe and North America, and therefore you can expect a higher quality of product from suppliers that export to these regions. If a supplier exports to developing regioins, there may be a poorer product quality. If the suppliers can pass these few criteria, then it is worth reaching out with your initial RFQ template! Lack of experience – do they not have at least a few years listed on Alibaba? Or not have experience making the type of product that you need? No beuno. Pricing is way off – If the pricing is way off from other quotes you receive, either too high or too low, then just walk away. Something is off, better to cut ties quickly. If you don’t get any response to your initial RFQ, move on. They haven’t answered your questions,? Skip them. If they appear to be dishonest, move on. You will initially get a lot of results with just the main keyword, so filter down by searching only those with “Gold Supplier”. Note that suppliers can simply buy a “Gold Supplier” badge so take it with a grain of sale, but it helps to search using this filter as you can also see the number of years in operation. Communications best practices – communications are the key to good relations! For subsequent communications, he moves to email, as it is easier to track responses and previous conversations. WeChat is a very popular and helpful option for communicating with Chinese suppliers. It is good for asking quick questions, sending pictures, and videos. Additionally, if there are any problems with a product, WeChat allows for easy video calls to review a product or even do product inspections. Skype is a perfectly viable solution for this as well. Gary likes to use Paypal for anything less than $50, like samples. Paypal is not real popular in China, and with processing fees higher in China, the supplier may charge a 5% fee for the time and expenses. It should not be a deal-breaker if they do not accept PayPal, but instead a bonus if it works. Gary likes to conduct transactions via Bank Transfer, or T/T. It is the most economical, with a $30-$50 fee, though there is limited protection or recourse for paying this method. Once you send the money via T/T, it is very hard to recover it. One important caveat when paying via T/T: make sure to check that the name on the bank account and the company name are matching! If the supplier doesn’t receive the payment, and the names on the bank account and company name don’t match, there is not much that you can do to recover the payment. That would be upsetting, to say the least! As far as negotiating payment terms, it is in your advantage to pay as little money upfront as possible. This will reduce your risk, and offer you some leverage to negotiate with the supplier. 30/70 or 50/50 terms are most popular, which means you have to put down a deposit of 30% or 50% to start production. The balance is normally paid when the goods are shipped. If you want to download additional resources that Gary offered exclusive to the Jungle Scout audience, head to THIS LINK. Greg shared the results of his outreach to suppliers on Wednesday, March 15th. But before that, we held a special episode with Intellectual Property attorney Marc Karish. Marc reviewed the legal steps we will need to consider and investigate before moving forward – check out the full recap and replay here. 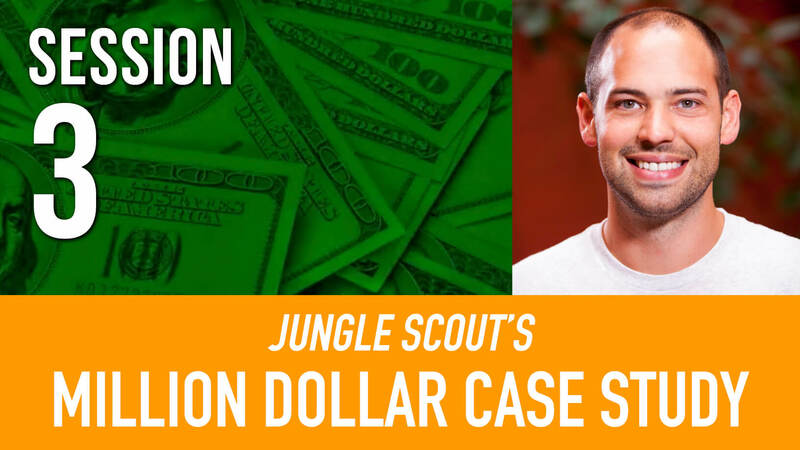 Have you missed out on any of the other Million Dollar Case Study sessions? Don’t panic – you can still catch full recaps of previous steps in the pursuit to a million dollars right here! Do you have to have legally registered company name to sign up to Alibaba; this seems like one requirement when signing up? You actually don’t need a registered company name in order to sign up. You can use your name, or a company name you’d like to potentially register in the future. You can update your account information on Alibaba at any time if you make changes later. Hi, great content. Do you have any idea how the shortcut process works that Gary used. He typed ;rfqbabytowels and it inserted a pre written message into Alibaba. This will be great for saving time in the future with lots of different messages. Great videos. I do have a question in term of payment. Do you recommend using Wechat pay for the payment? It is very convenience and there is no fee for that. I have no experience with this but I would generally say to keep things as safe as possible to use Alibaba Trade Assurance (if offered) and a wire transfer with your bank. I have a question regarding product research. If I come across a product with high demand,low competition, low review with poor LQS but out of the first 10 sellers 5 of them is Amazon itself. What would suggest to take this as niche or ignore it as Amazon being the dominating seller. Great question. Just because Amazon’s selling a product in niche doesn’t mean it’s the end-all product. Unless, of course, you mean you plan on selling on the same listing (wholesaling), in that case you’re better off letting Amazon win that battle. But if you’re going to create your own product, don’t let the fact that Amazon’s selling a product in that niche discourage you. Sometimes, those products are from third party sellers, too, just sold directly to Amazon through Vendor Central (an advanced method of doing things). Just make sure that you find a way to make your product stand out from the others and capitalize on your competitor’s flaws. Not even Amazon is perfect. This is so awesome! I’m soaking it all in. I have a question in regards to companies that are Manufacturers and Trading companies. Are these safer to use than the trading companies that Gary recommends we do not use? Great question. Trading companies are fine to work with as long you recognize a couple things. First, a trading company needs to make profit. Sometimes they’ll mark up the price of the goods that you order (because they’re acting as a middleman between you and the manufacturer), so prices will sometimes be higher. Next, you’ll want to make sure that you take the time to protect yourself against problems you can have with any sort of company. 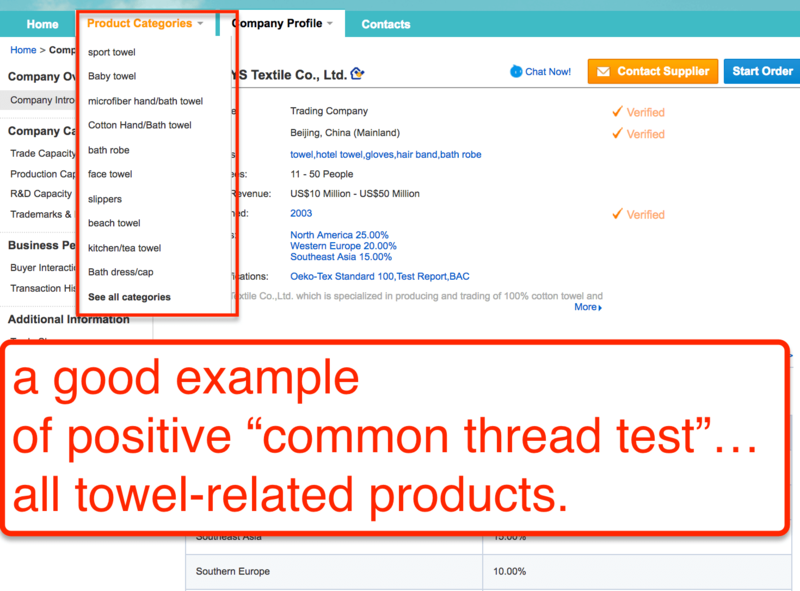 Alibaba has a few vetting programs (trade assurance, gold supplier, etc) to help you see whether or not a company is reputable. And while e-checking is good, I recommend PayPal to do your payments. Alibaba tends to lean in favor of the manufacturers if you have a dispute, but that’s not the case with PayPal that remains impartial. Which USA bank do you use for international wires? I am having a hard time to find a good option. TT vs. PayPal vs. Alipay?? To my understanding, sending money to a seller’s Alibaba assigned Citibank account is eligible for “order protection”. What is this vs. Trade Assurance? Can I send TT payments to the assigned Citibank acct for order protection? How does TT work? Do I physically go to my bank (as some FAQs suggest)? Can I use Visa or is it only directly from my bank acct? Do I need my “business name”, which I don’t legally have one, on the bank account/Visa? Should I keep all communications and transactions (orders) through Alibaba to stay legit? The company’s profile doesn’t have a Trade Assurance badge. Can I still place the order and select Post-Delivery Trade Assurance or is that something I shouldn’t be concerned with? How do we stop suppliers stealing our designs/logos? You could send more generic pictures whilst you are still deciding on your supplier, for sure. At that stage you are just gathering enough information to make a decision on the right business partner for you. Once you have decided who that is, you can send them the final designs. I don’t think stealing logos and packaging design is too common in the private label world, but in the worst case scenario, if you have brand registry and trademarks then you have more authority over your intellectual property rights! Is there a reason you are only selecting gold supplier and not other filters on Alibaba, such as Trade Assurance, Verified Suppliers, and main export markets? Also, it seems like you were only looking at the first few suppliers when there were hundreds or even thousands listed in the search results. For these reasons, isn’t it likely that you are missing out on finding many potential suppliers? 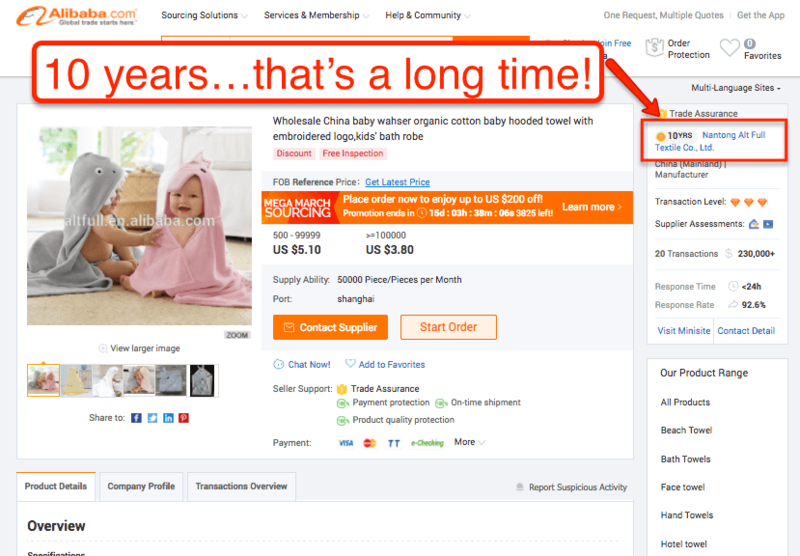 Good point, the reason for selecting Gold Suppier is it is a way to identify the number of years that they are selling on Alibaba–a small way to verify that it isn’t a scamming company. 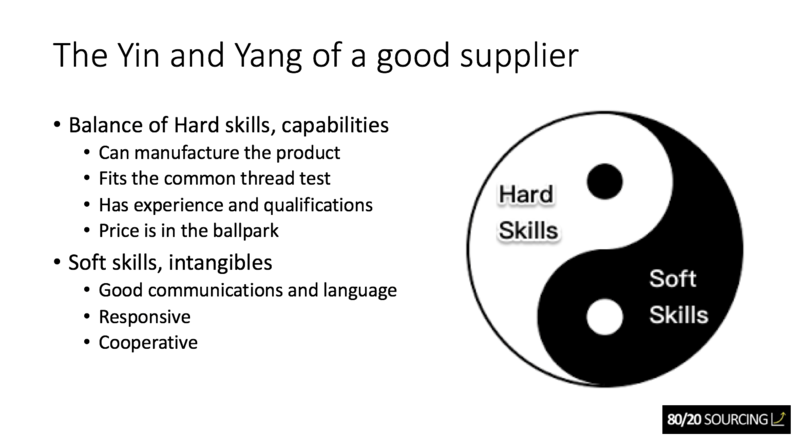 You are right that we could be missing out on a bunch of suppliers, but when Greg actually reached out to contact the suppliers, he contacted 21, so got a good amount more than we were able to cover in the live webinar. Hope that helps! Hello, if you are definitely going for hooded towels, just keep in mind that what they sell as bamboo is actually Rayon and in the US you cannot write just bamboo anymore. What most of Chinese manufacturer call organic cotton then, has nothing to do with the real organic one. I would suggest at least to request some certification like Oeko Tex or GOTS. For the last one, you will see that the number of manufacturers will reduce a lot and the prices will go up. I wanted to do something similar and tryed to differentiate with a good REAL organic textile and not a CHINESE organic one and everything was more difficult. Keep it in mind if you want to offer your buyers a premium textile as I think you would. Thanks for your insight and sharing your experience. That is good to know. We will be getting the samples shortly, and review them on the next webinar 3/29! Great question! The key is whether the product will be shipped by air or by sea. If by air then most likely it will ship direct from the factory to the US. In this case EXW means that the supplier will factor in only the cost to manufacture the product and have it ready for delivery AT the factory. If shipping by sea then we would request for FOB quotations, or free on board. This means that the factory is responsible for manufacturing the product, moving it to the port, clearing customs, and getting it onto the boat. I assumed that the towels will be small and lightweight hence EXW. Thanks Nathaly, glad to hear that you’ve been enjoying them! When is the next session in this case study? Has it been set yet? If you have registered we will contact you by email to let you know. Hi Gen , thanks you and Greg for your training , hope it’s will help me to start selling on Amazon . Wish you all the best and good luck with your project. Ted. Hey Ted, thanks very much! Would you be able to breakdown the logistics options we’ll have with typical costs, requirements and best practices? Thank you! Yes, we will have a webinar dedicated to this in a few weeks, so stay tuned! Great webinars! is there any change to get JS coupons? Thanks, glad that you enjoy them! Sorry, there aren’t any discounts on JS though. Thanks Gen, I was on a restricted network when I first saw the article and for some reason it was showing only the slideshare portion of it. I can now see the video replay. Appreciate your prompt response. Please keep up the good work. Great information. Thank you for sharing the slides and detailed notes. I missed the webinar since i was on travel, where can i find the replay of the webinar?